Prince Arthur Frederick Patrick Albert was born on January 13, 1883, the second child and only son of Prince Arthur, Duke of Connaught and Strathearn, third son and seventh child of Queen Victoria, and of Princess Louise Marguerite of Prussia, youngest daughter of Prince Frederick Charles of Prussia. He attended Eton before he pursued a career in the military. He passed through the regulation course at the Royal Military Academy in Sandhurst before being gazetted to the 7th Hussars. By 1902, he was already serving in South Africa. He had to return home, though, after falling sick at the concluding stages of the Boer War. That year, he was promoted to full lieutenant and became Captain in the Scots Grey. By this time, he was the only available British prince, aside from his cousin the Prince of Wales and his own father, who had attained the majority age, thus, he was frequently recalled from service to help perform royal duties and represent his uncle King Edward VII. In 1904, for example, he attended the christening of the Prince of Piedmont. Since then, he was often dispatched to various European countries to fulfill his duties delegated to him by the King. He also chaired the four Commissioners of State when his cousin King George V left for India to attend the Delhi Durbar in 1911. During the First World War, Prince Arthur served as aide-de-camp to Generals Sir John French and Sir Douglas Haig, the successive commanders of the British Expeditionary Force in France and Belgium. He was promoted to lieutenant colonel in 1919 and became a colonel in the reserves in 1922. In October 1922, Prince Arthur was promoted to the honorary rank of major general and became an aide-de-camp to King George V.
Duchess of Fife on their wedding day. Since the king's children were too young to undertake public duties until after the First World War, Prince Arthur carried out a variety of ceremonial duties at home and overseas. The most spectacular of which was his trip to Japan, when he invested Emperor Meiji with the Order of the Garter. The event has been described as an "impressive ceremony" witnessed by around 80 people, including the "Crown Prince and other imperial princes." Prince Arthur was offered several crowns during his lifetime. In fact, the Duchy of Saxe-Coburg and Gotha in Germany almost fell upon him but he had to formally reject it and it passed on to the young son of the Duke of Albany. In 1912, rumors circulated that he might be appointed Governor-General of India. However, in 1920, he was appointed Governor-General and Commander-in-Chief of the Union of South Africa, following the footsteps of his father, who served as Governor-General of Canada from 1911 until 1916. During his stint, he worked hard to promote and strengthen the relationship between Great Britain and the Dominions. In fact, his charm and manners made him highly popular among South Africans. Prince Arthur's interests are wide-ranging. He was a patron of arts, busying himself also in matters concerning the promotion of arts in the country and abroad. He was also interested in social welfare and in his capacity as chariman of the Middlesex Hospital, great deal was done to improve the condition of the patients. A keen sportsman, Prince Arthur spent his pastime shooting and fishing, just like the other members of the Royal Family. 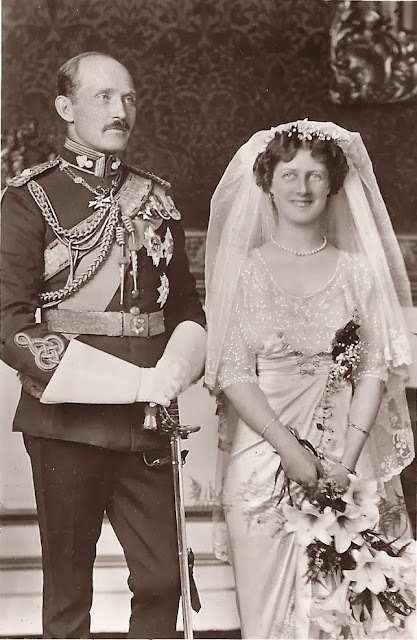 On October 15, 1913, Prince Arthur of Connaught married Princess Alexandra, Duchess of Fife. Alexandra was the eldest of the two daughters of Louise, Princess Royal, eldest daughter of King Edward VII, and the Duke of Fife. Their wedding was celebrated at Chapel Royal of St. James' Palace, London. 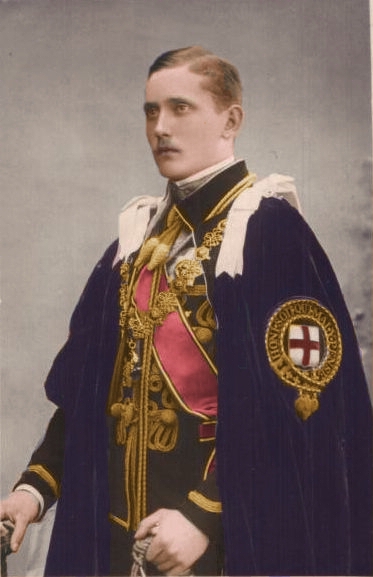 They had one child, Alastair, who succeeded his grandfather as Duke of Connaught in 1942. In 1938, Prince Arthur fell ill (it was eventually discovered that he was suffering from cancer). His condition deteriorated by September that year and on September 2, news of his worsening condition came out. His physicians, Sir Russell Wilkinson and Lord Dawson of Penn, attended him on the remaining hours of his life. He died in his sleep early morning of September 12 at his London Home, 41 Belgrave Square. His wife, Princess Arthur, was beside him when he breathed his last. He was interred at St. George's Chapel in Windsor Castle with full military honors and the Court was declared in mourning for two weeks. What is Trooping the Colour?